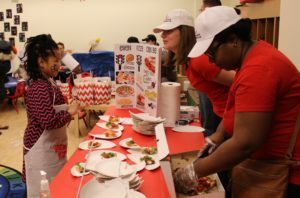 The Junior League’s Kids in the Kitchen is an annual event that showcases ways kids can eat smart and make healthy lifestyle choices. 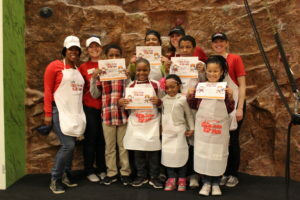 Targeted to children ages 3-13, local chefs host healthy cooking demonstrations, fitness experts lead high-energy exercise sessions and certified nutritionists are on hand to answer questions. 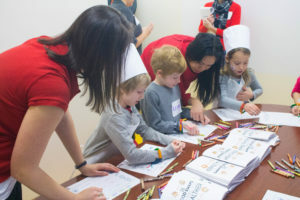 Kids in the Kitchen is a fun-filled day of games, crafts, hands-on learning, and exciting prizes – all to celebrate and promote nutritional literacy. The Junior League of Washington strives in all endeavors to be sensitive to the special needs of its members and guests. If you have any special needs or questions pertaining to our event, please let us know.